With over 20 years’ experience in the spill control and containment industry it never ceases to amaze me the amount of information that goes unnoticed. Safety data sheets are key to understanding/selecting the appropriate containment device. Section 1: of an SDS sheet is the identification of the substance. It provides the product name, product use, possible supplier details and manufacturer contact details. It should also contain emergency telephone numbers. If you are unsure of anything with the product why not contact the manufacturer? 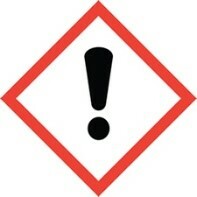 Section 2: covers the Hazard Identification. Section 2.1 of the SDS sheet gives the classification of the substance or mixture. The liquid itself is highly flammable as is the vapour, it can cause serious eye irritation and may cause drowsiness or dizziness. It should be kept away from not just flames but also heat and if it does enter the eye this should be rinsed with water continuously. Q.What size containers do we stock? A. 205L as its cheaper than 25L. Q.How many 205L drums do we have onsite? A. 32. Q.Where are they stored? A. In a shipping container in the yard near boundary fence. Q.How do we transfer the drums into the container? A. Lower using forklift and manually handle from pallet into position. Q.Are we storing or decanting? A. Both. We decant inside the store into smaller containers. Q.What are the smaller containers? A. Fire rated, Justrite plunger cans. If the company purchases 205L drums, they are usually delivered on a pallet and are handled multiple times before placing them by hand in their final storage location. This provides multiple opportunities for a spill to occur from over-handling. If the product is delivered securely on a pallet why not keep it on the pallet? Section 9: of the SDS sheet provides physical and chemical properties of the product. 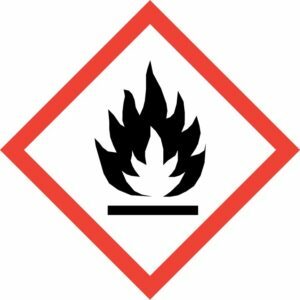 In our example case Acetone, we now know is flammable. There is potential in the shipping container for raised temperatures so in the first instance I would investigate the flash point. This information provides us with the knowledge to understand the risks involved with company X’s processes onsite. Storing 205L drums in a shipping container, in the summer could easily reach 40 °C. The drums of acetone will produce sufficient vapour that could then be ignited. The shipping container had little to no ventilation which contributes to a build-up of vapour particularly during dispensing/decanting. One solution to the storage of Acetone at Company X is to provide a Firevault (Fire Rated Store) product that will protect the Acetone in the event of a fire. The unit should either be well ventilated naturally, or provide forced extraction that removes any build up of vapour from the store and away from any external hazard. The fire rated store could also be temperature controlled to make sure the product is kept below the Flashpoint preventing any flammable vapour from being created (any electrical components are EX-rated appropriately). The distances are based on what is considered to be good practice and have been widely accepted by industry. Although these distances may not provide complete protection to people or structures from a fire in the flammable liquid storage area, they should allow time during a developing fire for people to evacuate to a place of safety. If these distances cannot be met then typically a Fire Rated storage solution would be required. During a recent site visit I witnessed flammables stored next to a boundary fence in open racking. On the particular day in question a maintenance company were patching up potholes on the road next to the boundary fence. In doing so they used a gas canister and what can only be described as a flame thrower! What would happen if the vapour/boundary vegetation ignited on that day? Do you know what processes take place outside of your boundary? Think about smoking areas/policy, vandalism, even acts of God, for example lightening? Why risk your business’s assets when all the information to protect it is at your fingertips? Contact us today for a free site assessment and our expert assistance.